cal records gone?’” writes Mark Bacon Producer/Host, Jazz After Dark and Pan American Rhythms, KRVS 88.7 FM, Lafayette & Lake Charles, LA.Hagenbach’s 2003 tour of Brazil garnered SRO concerts in Rio de Janeiro and Ilhabela where she previewed selections from her latest recording, Poetry of Love. This star-studded disc features jazz legends Clark Terry and Jimmy Heath. Also appearing are Russell Malone, James Williams, Don Braden and others, along with Kansas City based sextet.Singing everything from swinging straight-ahead Jazz Standards, Blues, and original compositions to sensual rhythmic Latin Jazz, Angela was praised by Cadence Magazine and JazzTimes for her “…Immediately appealing voice and razor sharp intonation.” Her 2001 national debut, Weaver of Dreams, garnered three stars from Downbeat Magazine, and was an immediate radio success. 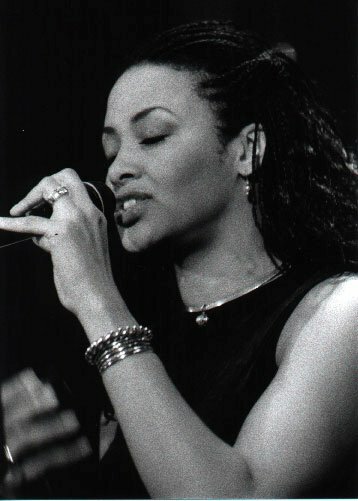 Weaver of Dreams shot to number five on the Gavin Jazz Chart in just six short weeks.Her professional music career was launched in 1990; by 1994 Angela released her critically acclaimed recording debut Come Fly with Me on Amazon Records. Scott Yanow of LA Jazz Scene, described it as “Full of rhythmic fire.” Showcasing her Latin side, Angela released Angela Hagenbach HOT Latin Jazz in 1995. “…There is nothing more beautiful than a mixture of styles. To our delight, Angela Hagenbach Hot Latin Jazz does it with assurance, taking advantage of every moment,” praised Sergio Mielnizenko, Producer of NPR’s Brazilian Hour. Patricia Meyers from JazzTimes applauded Feel the Magic, Angela’s 1997 release, “She possesses an extraordinary range, excellent phrasing and a singular style.” She also won rave reviews for her theatrical debut when she co-starred in Duke Ellington’s Sophisticated Ladies, presented in 2002 by The Theater League of Kansas City.As a fashion model, Angela graced international runways and appeared in countless television and radio commercials and print advertisements. Hagenbach’s talent again placed her on the international stage and was twice chosen to represent the United States as a Jazz Ambassador to the world under the auspices of the United States Information Agency and the Kennedy Center for the Performing Arts. 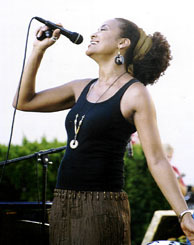 Her world tours included performances and workshopsthroughout Africa in 1998 and in Jordan, Israel, Palestine, Oman, Uganda, Ethiopia, India, Thailand and Malaysia in 2000. Festival performance highlights include opening for Ray Charles in 2001 at Jazz in Marciac, France, A Tribute to Louie Armstrong in 2002, with Laurent Filipe and the Cultur Porto Big Band to a SRO Porto, Portugal crowd, and most recently, Hagenbach was the Opening Act for Poncho Sanchez at the Gene Harris Festival and for Ramsey Lewis in Ft. Pierce, FL. 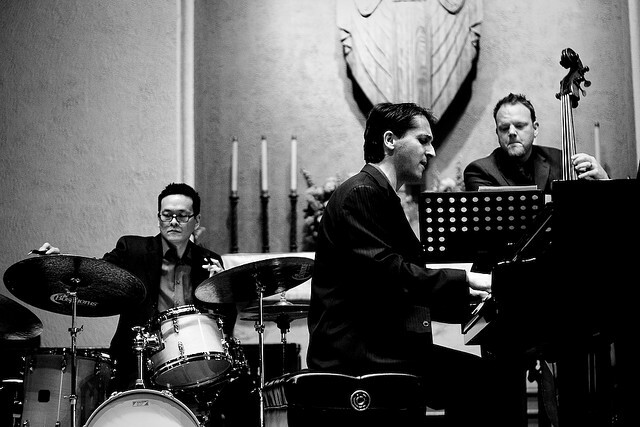 Tamir Hendelman Award-winning jazz pianist Tamir Hendelman has performed with the Jeff Hamilton Trio, the Clayton-Hamilton Jazz Orchestra, Harry Allen, Teddy Edwards, Warren Vache, Houston Person, Jeff Clayton, Nick Brignola, Phil Upchurch, Rickey Woodard, John Clayton and Barbara Morrison. He also leads his own trio and his debut CD “Playground” features him in this trio setting.Beginning his keyboard studies at age 6 in Tel Aviv, Tamir moved to the US at age 12 in 1984, winning Yamaha’s national keyboard competition 2 years later at age 14. 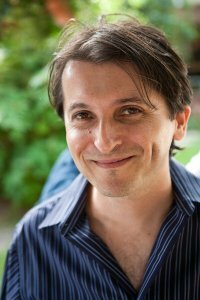 Concerts in Japan and the Kennedy Center followed.Tamir then studied at the Tanglewood Institute in 1988 and received a Bachelor of Music Composition degree from Eastman School of Music in 1993. He then became the youngest musical director for Lovewell Institute, a national arts education non-profit organization.Since returning to LA in 1996, Tamir has been in steady demand as pianist and arranger, touring the US, Europe and Asia, and receiving awards from ASCAP and National Foundation For Advancement in the Arts. In 1999 Tamir was a guest soloist with the Henry Mancini Institute Orchestra. With the CHJO, Tamir has recorded for John Pizzarelli, Gladys Knight and Diana Krall. He is the pianist/arranger on Jackie Ryan’s “You and the Night and the Music” and Janis Mann’s “A Perfect Time.” He is also featured on Natalie Cole’s “Still Unforgettable” and Barbara Streisand’s upcoming recording.